In the future there is no disease. There is no war. There is no discontent. All citizens are complacent members of the Global Governance. But one summer is about to change everything. Keeva Tee just turned fifteen. All of her dreams are about to come true. She s about to make the trip to Monarch Camp to be imprinted with her intended life partner. One day they ll have perfect kids and a perfect life. But in her happy, carefree life in the Ocean Community, something weighs on her mind. 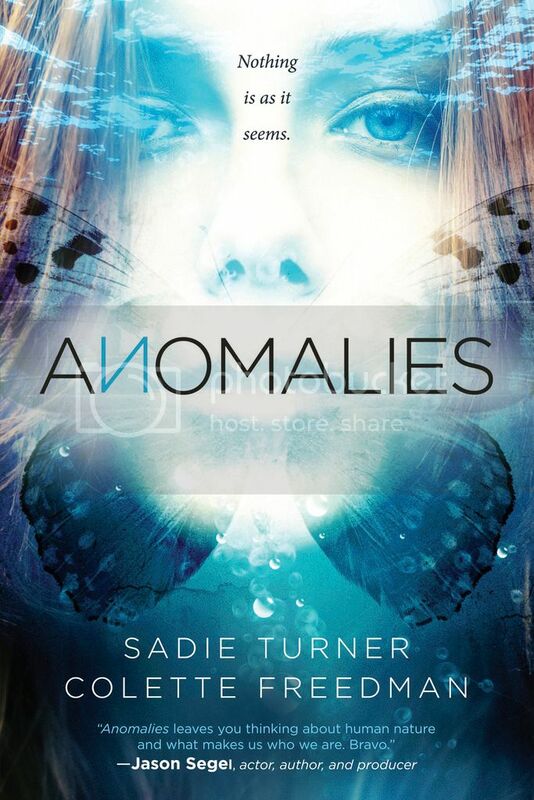 She hears whispers about anomalies citizens who can t be imprinted. No one knows what happens to them, but they never seem to come back. When Keeva arrives at Monarch Camp, her worst nightmare becomes a reality she is an anomaly. After imprinting, the people she loves change, and she starts to doubt everything she s ever believed. What if freedom and individuality have been sacrificed for security? And what if the man who solves all the problems is the very man who s created them and what if he isn't a man at all? When Keeva finds a warning carved under a bunk bed she begins to understand: nonconformity will be punished, dissent is not an option, insurgents will be destroyed. SADIE TURNER is a Los Angeles-based producer and writer originally from Brighton, England, who works in business development with several Hollywood entrepreneurs. She has various projects in development, and also teaches yoga. COLETTE FREEDMAN is an internationally produced playwright, screenwriter, and novelist who was recently named one of the Dramatist Guild’s “50 to Watch”. Her play Sister Cities (NYTE, 2009) was the hit of the 2008 Edinburgh Fringe and earned five star reviews: It has been produced around the country and internationally, including Paris (Une Ville, Une Soeur) and Rome (Le Quattro Sorelle). She has authored fifteen produced plays including Serial Killer Barbie (Brooklyn Publishers, 2004), First to the Egg (Grand prize shorts urban shorts festival), Bridesmaid # 3 (Louisville finalist 2008), and Ellipses… (Dezart Festival winner 2010), as well as a modern adaptation of Iphigenia in Aulis written in iambic pentameter. She was commissioned to write a modern adaptation of Uncle Vanya which is in preproduction and has co-written, with International bestselling novelist Jackie Collins, the play Jackie Collins Hollywood Lies, which is gearing up for National Tour. In collaboration with The New York Times best selling author Michael Scott, she has just sold the thriller The Thirteen Hallows, to Tor/Macmillan, which comes out Dec 6, 2011. She has just sold the novel The Affair to Kensington and is getting ready to shop her YA series The A+ Girls. I think I would enjoy this dystopian! Always in the mood for a good dystopian!